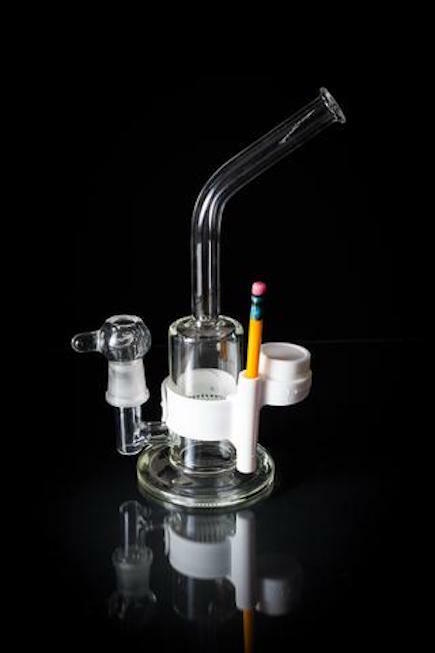 This silicone accessory holds your favorite dab tool and a 32mm silicone jar(included). The collapsible slap-band attachment style keeps everything securely fastened to your tube or rig. This product is fully adjustable to fit most tubes down to 1". Silicone was chosen to create the product because it will leave your glass unaltered or affected in any way. You can simply just take it right off as easily as you put it on.